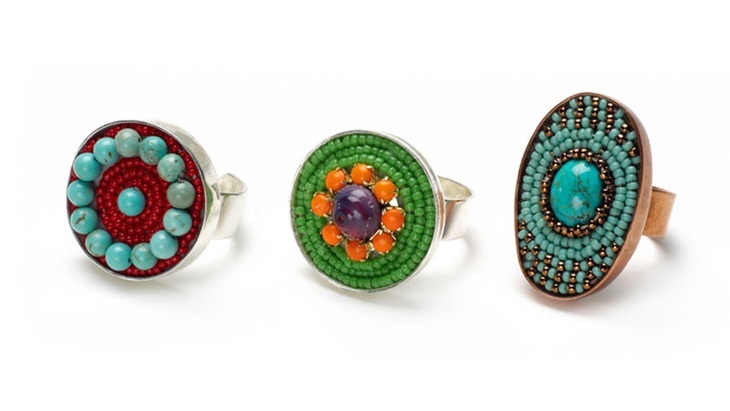 Bezel rings can be embellished in many ways. Resin cabochons, resin clay, polymer clay are some of the media typically used for designs. But if you are into beading, then consider bead embroidery. Beth Moser's lovely tutorial shows you how. Check out Nunn Designs' beautiful bezel ring blanks to use. I have used these for real flower resin jewelry making before. The same idea can be applied for any pendant bezel too.